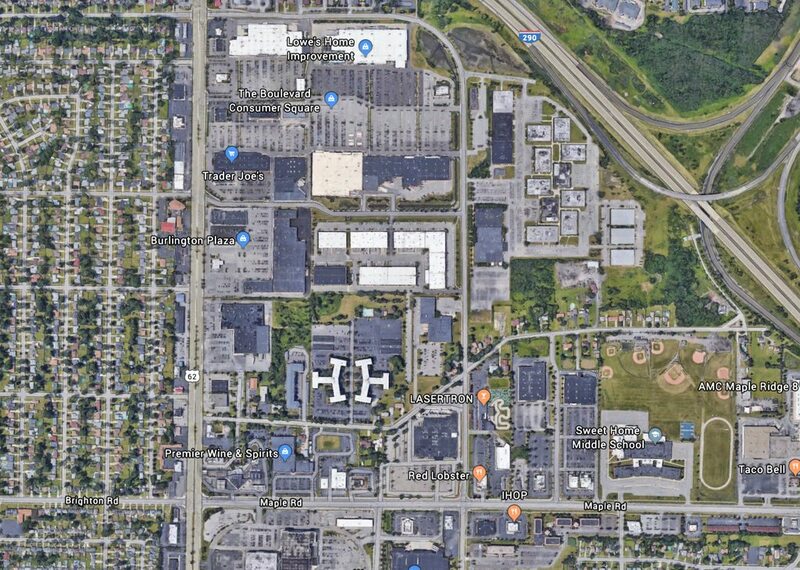 Living in an area with "retail hell" I was wondering why people complain about traffic issues when the area is not growing at all. I finally found out what the opposite of retail hell is and I will put a Side by side comparison below. Access management is awesome. Most of the traffic problems on Wolf Road near Albany are caused by the people stopping to let others out of parking lots between the intersections. 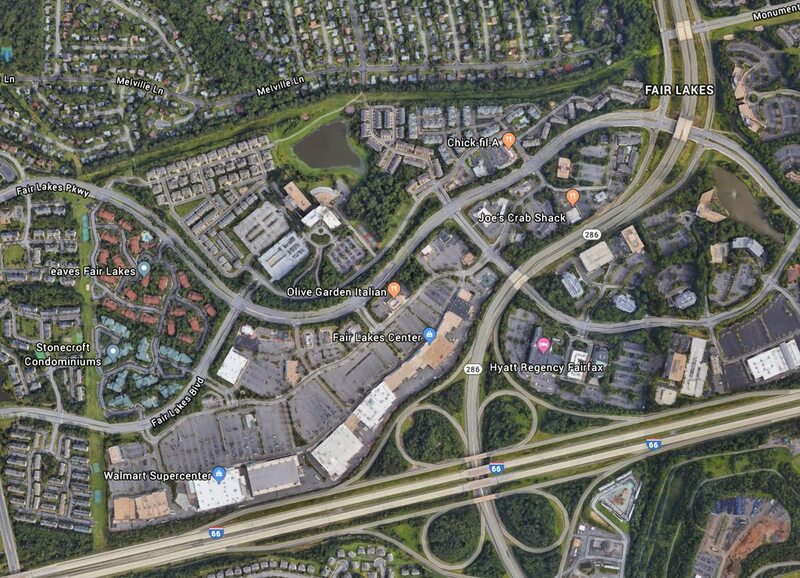 The roads around the Buckland Hills Mall in Manchester, CT are an example of excellent traffic control and access. They have the lights timed perfectly. The intersection of Pleasant Valley Rd, Buckland Rd. and Buckland Hills Dr. usually experiences heavy volume, but the intersection had median-seperated right turns, dual left turn lanes and dual through lanes for all four directions. The lights handle rush hour traffic like it's nobody's business. Very well engineered, especially for an almost 30-year old intersection. It was clearly designed with expansion in mind. Totally true. Let the lights do their work! At least twice per week I need to pass directly by Oakridge Mall (a Westfield property; they're the largest mall developer in the area). There are numerous signals controlling most access to the mall parking lots and structures; they are operated by approach sensors 24/7 with only a short delay; using any of the bordering streets (a couple of which lead to nearby arterials or the CA 85 and 87 freeways; the latter terminates a block away from the mall) is a matter of watching out for vehicles near the mall exits; the odds are that you'll get hooked by a signal. Perhaps this was a concession to Westfield -- "on demand" access -- which extends to the left turn lanes heading toward the parking lot on the boundary streets. As soon as one car accesses that lane, the signal changes to accommodate that traffic. But one can't realistically exit the area northward without traveling on one or another of those border streets -- so it shouldn't be unrealistic that mall traffic simply wait its turn without being given immediate satisfaction! Access control is not a known concept in New Jersey. You get a driveway, you get a driveway, everybody gets a driveway! Now a poor example of access control would be CT 194 in South Windsor. There's driveways every few hundred feet and awkward situations like a light controlling a driveway in the middle of another driveway. And it's two-way traffic only. And there's slow trucks thst service the FedEx sorting center and the Hyundai Plant and the Aldi warehouse. But keep in mind this SR was planned out in the 1930s when access control was an afterthought.